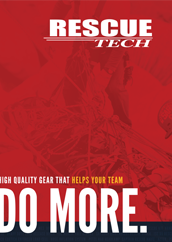 RescueTECH has many items available through our GSA Contract. GSA Pricing is available upon request or through GSA Advantage. The ShoutBox is an interactive voice recorder which allows the instructor to record a message specific to the days training exercise. Sonar Compatible. Designed to aid dive team recovery training. The Dive Rescue / Recovery Manikin is constructed using a reinforced, heavy-duty Nylon mesh for the carcass with non-absorbent closed cell foam provides near-lifelike in water weight. Offshore manikin is a versatile product designed for water and general rescue training on offshore platforms and vessels. The Man Overboard Water Rescue Manikin is built to simulate an unconscious victim in the water, floating at an angle of 45 degrees with just the head and shoulders above the water. The FireHouse-GEN2 Manikins demonstrate a good balance between temperature and abrasion resistance. 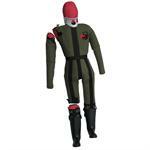 This rescue training manikin is perfect for general training and can withstand temperatures between 280-320Â°F. Upgraded to a Polyester fabric shell for greater durability. 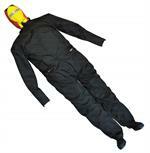 Manufactured using a flexible inner core, an outer shell, and coverall. The inner core is weighted to human proportions using 4.4 lb packets of aggregate. Our most popular Training Manikin is now "Pre-Kitted" with the new Shoutbox voice box and hood. One part number to fit your audio manikin needs. The Advantage Basic PLUS system will rig the following systems: Tripod w/ 2 Swivel Rigging Points, Bipod / A-Frame, Offset A-Frame (std Rigging Point, Lazy Leg Tripod, Gin / Monopole. 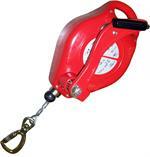 The Arachnipod Advantage system contains a Pulley Head and one swivelling rigging point. System can rig Tripod with Pulley Head, Equilateral Tripod with Lazy Leg, Bipod/A-Frame, Handrail Monopole. EDGE System will rig a flat-front tripod. 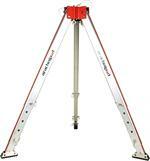 The Advantage Basic system is comprised of a standard head tripod with 2 rigging points. 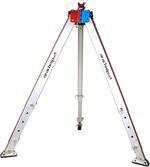 Will rig Tripod w/ 2 Swivel Rigging Points, Equilateral Tripod w/ lazy Leg, and Bipod / A-Frame. The EDGE version will allow rigging a Flat Front tripod. 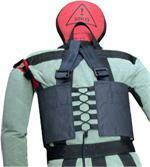 Manikin weight vest available in either 15, 25 or 36 lbs. versions. 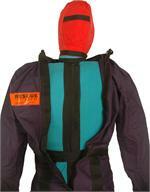 The vest allows the user to adjust the weight of the training manikin to suit the training requirements. The Man Overboard Water Search and Rescue Manikin is built to simulate an unconscious victim in the water, floating at an angle of 45 degrees with just the head and shoulders above the water. Black coveralls lower visibility to enhance search exercises. A combined Multi-Trauma Manikin and Shoutbox manikin voice box creates an advanced extrication training manikin complete with sound. Simulates impalement and leg/arm amputation. 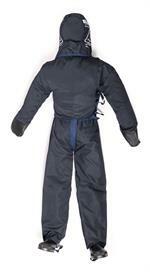 The Vest is made of Polyurethane Coated Polyester Mesh and has pockets to hold disposable heat packs. The heat packs will, after activating, remain at a temperature of between 135f and 158f for up to six hours. For use underneath protective overalls. 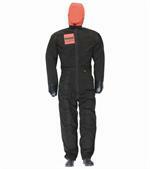 The protective coveralls are constructed using a Nomex blend material which offers good protection against high temperatures - it is permanently non-flammable and most commonly used in protective clothing to protect against heat and flames. A pair of durable replacement boots for the Ruth Lee Manikins. These boots are designed to be a consumable item for the manikin protecting the lower leg and foot area. Easily replaced. 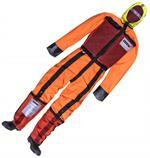 Held in place with durable straps and buckles inside the coveralls. 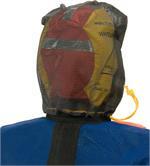 The SAR Hoody adds low visibility capability training to the Man Overboard manikin. 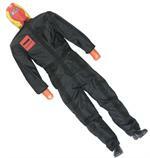 A black mesh hood to cover the head of the search & rescue dummy (either adult or youth). Integral pouches allow insertion of heat pack to allow thermal imaging search for the floating manikin. A custom-designed bag to fit the youth - Heavy Adult Sized RescueTECH Training Manikins. Features Heavy Duty PVC material and nylon straps. Includes Shoulder straps and end lifting handles. For All Training Manikins Set of 6 armbands allow for designation of injury to the Head, Arm, Leg, Back, Neck, and Chest. Specifically designed for the Ruth Lee Manikins, the armbands will also work with the Rescue Randy line of manikins. This is the ultimate Arachnipod System. In one kit rescuers have access to all of the APOD's capabilities. Included is the Advantage Plus system AND a 2 meter Bridge Kit. This is the ultimate Arachnipod System. In one kit rescuers have access to all of the APOD's capabilities. Included is the Advantage Plus system AND a 3 meter Bridge Kit. 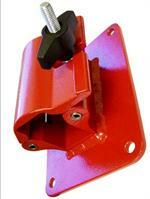 Mounting bracket to attach our Fall Block and Fall Block with Winch to the Technician Tripods. The Standard Quadpod Add-On Kit provides the components necessary to add a 4th leg to an Arachnipod Multipod. Meets CE EN 795B standard for Tripod and Quadpod.